Ricardo Bofill, born December 5th, 1939 in Barcelona, Spain, is a Spanish-Catalan postmodernist architect. 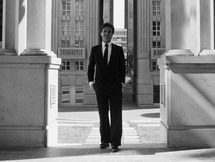 He studied at the School of Architecture in Geneva, Switzerland. 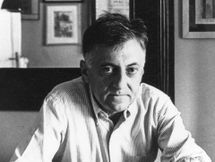 In 1963 he founded a multidisciplinary group formed by architects, engineers, sociologists and philosophers, creating the..
Aldo Rossi (May 3, 1931 – September 4, 1997) was an Italian architect and designer who accomplished the unusual feat of achieving international recognition in three distinct areas: theory, drawing, and architecture. Rossi was born in Milan, Italy. He graduated in architecture in 1959 from the..
Robert Charles Venturi, Jr. (born June 25th, 1925) in Philadelphia) was an award-winning American architect and founding principal of the firm Venturi, Scott Brown and Associates. 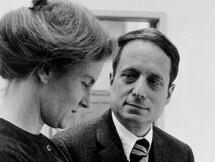 Robert Venturi and his wife and partner, Denise Scott Brown, are regarded among the most influential architects of..
Sir James Frazer Stirling (April 22nd, 1926 – June 25th, 1992) was a Pritzker Prize winning British Architect and among the most influential architects of the second half of the 20th century. 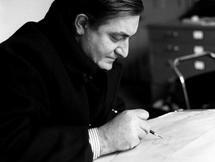 He is perhaps best known as one of a number of young architects in various countries who from the 1950s.. 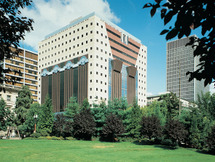 The Portland Public Service Building, popularly known as the Portland Building, is a 15-story municipal office building located at 1120 SW 5th Avenue in downtown Portland, Oregon, United States. Built at a cost of $29 million, it opened in 1982. 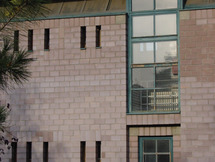 Michael Graves' building, with its distinctive..
Hans Kollhoff is a German architect and professor. 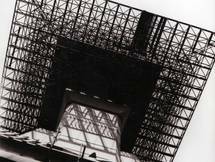 He studied architecture from 1968 to 1973 at the University of Karlsruhe with Egon Eiermann. 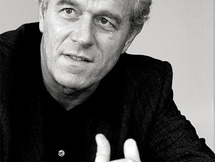 In 1974 he spent a year abroad at the Vienna University of Technology in Austria. 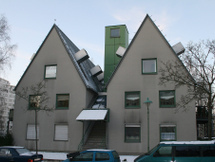 Thereafter, he held a scholarship at Cornell University, New York,..
John Hejduk designed the Tegel Housing as part of the 1987 International Bauausstellung. 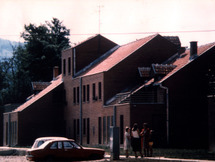 The housing units are part of a larger complex situated in the north-west area of Berlin, Tegel. Each building in the complex opens out to the harbour and lake. Being a more affluent area of Berlin, the.. 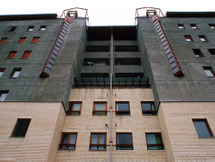 The Quartier Schützenstraße by Aldo Rossi is situated in Berlin district of Mitte. Aldo Rossi worked together with the architectural offices Bellmann & Böhm and Luca Meda. The master plan was oriented towards pre-war development. 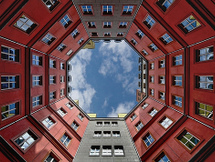 The complex has four inner courtyards, including an octagon, and.. 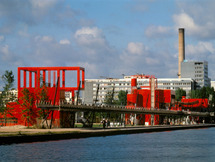 The design for the Parc de la Villette was selected from over 470 international competitors. The objectives of the competition were both to mark the vision of an era and to act upon the future economic and cultural development of a key area in Paris. 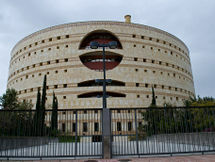 As described in the competition, La Villette..
Torre Triana, an administrative building of the Government of Andalusia in Seville, was built in 1993. It was designed by the Navarran architect Francisco Javier Saenz de Oiza, inspired from the Sant'Angelo castle of the city of Rome. It is the largest administrative building of the Government of.. 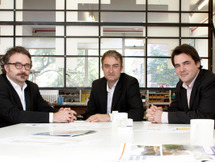 FAT was an architecture studio with an international reputation for delivering outstanding and award winning projects at a range of scales and for many different uses. We specialise in architecture, cities and design. The studio was directed by Sean Griffiths, Charles Holland and Sam Jacob,..
Matjaž Garzarolli was among the most active in his generation at the Faculty of Architecture in Ljubljana. He was one of students of Edvard Ravnikar. Matjaž Garzarolli, Marko Dekleva, Vojteh Ravnikar and Egon Vatovec founded the Karst group in 1976. In 1980 they received..
Dravlje church is one of the most original designed Slovenian contemporary churches. It was built as an extension of the old Baroque pilgrimage church. The new church creates a respectful dialogue with the environment as well as the old church. The building itself is partially dug into the ground..
Spasoje Krunić, was born on 22nd October 1939 in Nikšić, as the son of Vojislav and Jelena (born Kokolj). 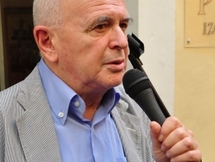 He graduated from general high school in Obrenovac in 1958 and from Belgrade University’s Faculty of Architecture in 1968. 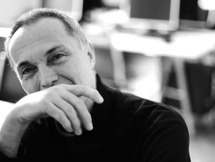 He worked as project designer and chief of department at Communal..
Branislav Mitrović was born in 1948 in Bar, Montenegro. 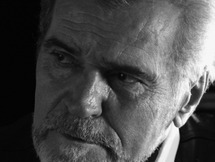 He graduated at The Faculty of Architecture at University of Belgrade in 1974 by Uroš Martinovic. In 1977 was accepted to The Association of Fine Artists of Applied Arts and Designers of Serbia. Between 1977 and 1986 has been employed in.. Residential buildings are located in a beautiful natural environment around Bajina Bašta (Baja's gardens). They were made in the GIMS system - industrial building system. The project was created as a part of a years research and applied to locations in Leskovac, Bašta, Zaječar, Smederevo (Serbia)..
Police Command and Operation Center by Spasoje Krunić in Belgrade, Serbia. 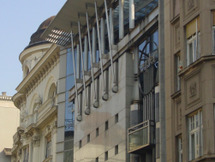 The architectural symbol of the nineties in Belgrade. 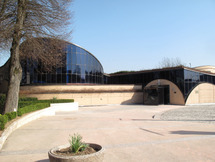 The building was completed in 1997 and represents a work of architects Vasilije Milunovic, Branislav Mitrovic and Dusan Tesic (interior). Monumental double facade of the building is specifically designed to fit the surrounding buildings..